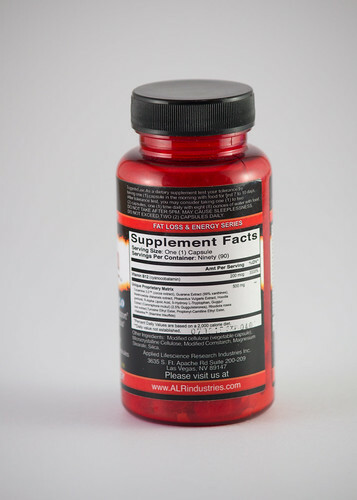 It’s not the B12 that explains the weight loss, nor the fast heart rate, agitation, or seizures. Aircraft flown by David Crooks (F/L at the time, later Air Vice Marshall, retired 1987). Following is his account of the incident. The 13 March flight in NZ6104 was an initial student navigator familiarisation exercise for Pilot Officer Graham Lucas who was crewed with one of my pilot students on a Canberra conversion course. The B12 had systems and crew layout quite different from the T4 used for dual instruction. (Similarly, the student pilot was crewed with a staff navigator for his first flight). Pre-flight, taxi and take-off were all normal, but on retracting the undercarriage the status light gave an abnormal indication for the port leg. To explain, the indicator shows green for each unit when down and locked, sequences through red for unsafe while the units are cycling to lights out when the gear is up and locked with the doors closed, the same sequence in reverse for lowering. The nose and starboard units had cycled through normally to lights out but the port unit was showing steady red, i.e., unsafe. The cockpit canopy on the B12 was of the fighter type and off-set to the left side of the fuselage which, with some contortionist movement enabled a partial view of the extended port undercarriage leg from the pilot’s position. Nothing was to be seen, so clearly the leg was at or near the top of the cycle and the problem was either mechanical/hydraulic or an indicator circuit micro-switch fault, so I re-cycled to test. The nose and starboard units gave light indication of safe extension, but there was no sight of the port leg which continued to show a steady red. That ruled out a faulty indicator and confirmed a localised system failure. I recalled having seen reference to the possibility of this condition resulting from a hydraulic sequence valve malfunction and, although the incidence of this was rare, I concluded that was the most likely cause. Having retracted the other two units I reported to control and arranged for a low, slow fly-past so that observers could view and report the position of the gear. Sure enough it was confirmed that the door was up with the gear jammed up against it on the outside. It was the classical ‘catch 22’. The leg would not lower because it was programmed by the sequence valve not to do so until the door was open and clear. The door could not open because it was jammed shut by the leg which remained under full hydraulic pressure until the sequence valve sensed that it was fully up and locked, which could not be because it was blocked by the door. Great!! A possible solution was to remove all hydraulic pressure and hope that all legs would drop under their own weight, assisted by a bit of applied ‘g’, to engage the mechanical down locks. But that risked an asymmetric undercarriage configuration which was potentially much more hazardous than a clean belly landing, and there was the issue of flaps and brakes etc. Anyway, the question was academic as there was no way we could access the system from inside the aircraft to induce a failure. Discussion with the engineers and OC Flying confirmed what I had concluded after the recycling attempt – we were in for a belly landing and it was just a matter of configuring the aircraft for the event and making runway reception arrangements. 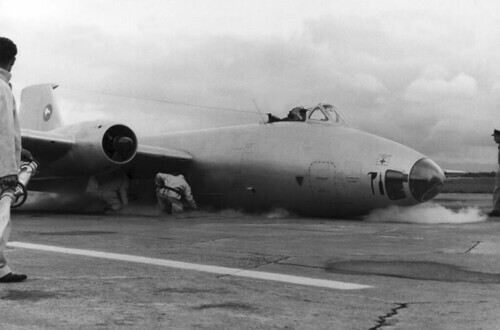 The first thing was to reduce fuel load (we had full tanks) to lighten the aircraft and, since the B12 had no fuel jettison facility, this was achieved by using high power against the airbrakes for an hour and a half at low level. I rejected any suggestion of a partial undercarriage arrival as unpredictable, potentially hazardous and certain to result in more damage to the aircraft than a clean belly slide. Similarly I opted squarely for the runway as a firm and even surface and much less likely to cause the aircraft to veer, broach or dig in than the uncertainties of turf (I had seen an RAF Venom in Singapore destroyed trying the grass). Because the only crew hatch was low on the starboard front fuselage there was a distinct possibility that it could not be opened at the end of the landing slide if the aircraft rolled on to the right wing tip (in the event it rolled the other way), and even if it didn’t there was the possibility of fuselage distortion which could jam the door anyway. The only other exit was from the pilot’s position but the canopy was non-opening, being held securely in place by explosive bolts. It was uncertain as to what would happen if the canopy was blown while at rest on the ground; it might detach, rise and fall back on its mounting or it might dish and either incapacitate the resident pilot or jam in the cockpit preventing exit. Either way, it was very heavy and would require external mechanical assistance to shift. The obvious option was to blow it in the air, which was part of the approved drill sequence for ejection. It was decided to carry out this procedure off the beach at Raumai just to the west of Ohakea to be clear of habitation. The heavyweight canopy was a considerable missile and there was the possibility that any uneven firing of the explosive bolts could cause the canopy to dish and incapacitate the pilot or tumble in flight to strike the tailplane which, in either case, would result in the aircraft falling out of control. For the jettison procedure the aircraft was flown at 180 knots at 3,000 feet. Preparations included positioning the navigator at the exit hatch (he had no ejection seat in the B12) and briefed to make an immediate departure if the aircraft went out of control or the driver (that’s me!) was clearly hors de combat. I lowered the seat to its fullest extent to lessen the possibility of a clout from the departing canopy and pulled the helmet visor down tightly to protect face and eyes. The cabin was kept pressurised to encourage canopy separation. While our aircraft were immaculately clean there is always a residue of grit released with decompression and there was the possibility of bolt fragments on firing so I closed my eyes at the moment of jettison, which was as well as an amazing amount of stuff whistled past. I warned the nav, advised the tower and tripped the switch. There was a sharp bang and we were cruising serenely in open sports mode. Having reassured the navigator (poor chap, this was his first B12 flight) and the tower that all was well we turned back to Ohakea. With the speed below 200 knots there was very little buffet, noise was not a problem, the ride was breezy but quite comfortable. In the circuit at Ohakea it was noted that an impressive reception array was in place at the business end of the runway, fire rescue, ambulance, crane and so on. The tarmac area and other vantage points were also well populated with spectators – this was after all a free show! Apart from checking that the undercarriage was securely up the final approach was normal from around 140 knots dropping to 110 at the threshold, thence a normal round out and gentle sink on to the belly. Touchdown and run out were impressively noisier and shorter than usual but the aircraft stayed dead straight and gently heeled over to the left as lateral control faded and we slid to a halt. I had briefed the nav that he was to vacate immediately we stopped, to ignore the side hatch and clamber over me and depart the aircraft while I went through the business of closing down engines, fuel, electrics and so on. He did so with alacrity – I can still feel those boots, he was a well built lad. The emergency crews were around the aircraft like a swarm of bees. There was some smoke from the friction of sliding but no fire, however they puffed everything with dry powder just in case. Solicitous hands were upon me before I’d completed the close down. Having left the aircraft I was greeted by a very relieved OC Flying, Wing Commander Alec Maisner, an RAF exchange officer. Next receptionist was the Base Commander, Group captain ‘Chunky’ Watson who escorted me to the waiting ambulance crew. I protested that I was perfectly OK to which he replied “I know but the medics insist, however, I’ve ensured that they have a stiff brandy ready for you”. Lovely man. Apart from the faulty sequence valve, lack of a canopy and the loss of skin abraded from the bomb-bay doors, the aircraft was undamaged. The undercarriage was secured in the down position with mechanical locks, the belly skin given a temporary covering of doped fabric, all systems checked and within two working days it was cleared to fly. It had been decided it should go to the Repair Depot at Woodbourne for a thorough check of airframe trueness, hydraulic system etc, permanent skin repair and replacement of the canopy (not as simple as it sounds, the explosive bolt mounts etc., had to be renewed and the canopy custom fitted – British aircraft, include handcraft and each a wee bit different!). The aircraft was flown to Woodbourne, with staff navigator Barry Cranston, at low level and 200 knots, quite comfortable and entirely uneventful. The accompanying photos show the aircraft on runway 27 at Ohakea immediately after arrival. As a footnote, the student navigator, Graham Lucas, retrained as a pilot in 1965/66, left the RNZAF in 1971, joined Air NZ and was lost in the 1979 DC10 crash on Mt Erebus (I think he was an observer on that flight). NZ6104 was destroyed and the crew killed 30 Nov 1964 when its wing tip struck the sea during a practice low level rocket run on the China Rock, Singapore bombing range. Crew: Flying Officer Russell Thomson and Flight Lieutenant James Southgate.